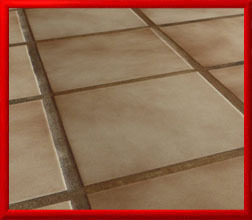 Ceramic tile installation was something that I had to read up on and teach myself when doing over my first bathroom. As my experience increased I grew to love this medium as my favorite floor and wall treatment, because it is beautiful, rugged, easy to clean, easy to maintain, and one can actually compensate for the geometric distortions in a room by carefully placing each tile. Most older homes have wood frame interiors usually made up of large wood joists and 2 x 4 studs for the verticals. After many decades these framing systems sag from the weight pressure on the joists and the walls. These rooms are no longer shaped like perfect rectangles some of them become shaped like trapezoids while others look like parallelograms. If you put wallpaper on these walls and align with one corner first, the gross errors become apparent as one papers across the rest of the wall. With tile I can gently nudge the joint spaces as the adhesive is setting to make one smooth left to right flawless looking transition. The smaller the tiles the easier it is to do this.